Hobbies? Fashion, reading, volunteering, going to sporting events. What's your favorite class? I enjoy Prof. Keats and McGuire's classes. They're energetic, which makes the classes so interesting. Do you play any sports? I played lacrosse in high-school. What is your favorite thing about Christendom? 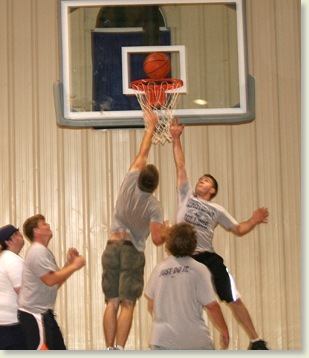 I love the fact that Christendom is such a close-knit community. Everyone here is incredibly kind and welcoming. Why did you choose Christendom? I wanted a small, Catholic college where I would get a solid education and have experiences that I will remember for the rest of my life. What do you plan to do after graduation? I want to work as a fashion director at Harper's Bazaar Magazine. 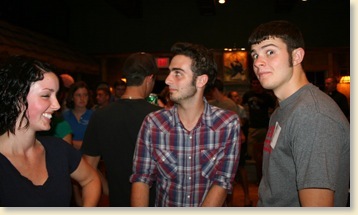 One hundred and twenty-three freshmen from across the globe gathered in St. Kilian’s Café for a New Student Social. There they got acquainted with each other and Christendom’s Welcoming Committee as well as many members of the faculty. Senior Joe Townsend welcomes Paddy Salmon of Ireland to the Christendom family. College Chaplain Fr. 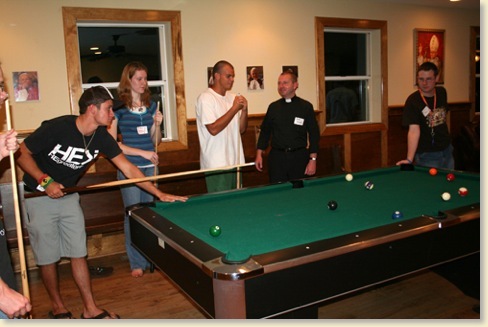 Donald Planty chats with students over a game of pool. Saturday night was a high point of the weekend for many students, as the freshmen got the opportunity to meet many new faces during “game night” in the Crusader Gymnasium. The energy and excitement was felt through fun games of basketball, volleyball, racquetball, and dodgeball, as students cheered on their new friends and interacted with both freshmen and upperclassmen. The cheering was especially intense during the many dodgeball games that proceeded volleyball and basketball. 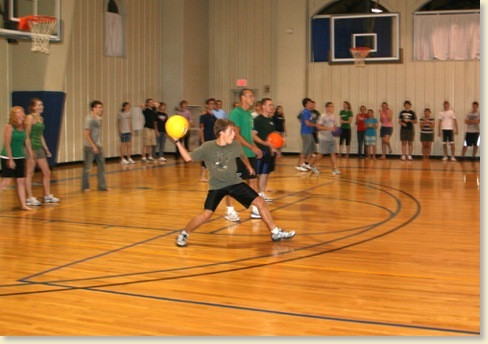 Some of the most popular dodgeball competitions were the Student Activities Council vs. Resident Assistants, Upperclassmen vs. Freshmen, and blondes vs. brunettes. Freshman Mary Barbale was heard screaming “GO FRESHMEN!” repeatedly from the sidelines, and her enthusiasm spread quickly to her new classmates. Many students spent their time upstairs in the gym, where fun and games continued off the gym floor, with a variety of card games and board games highlighting the night. 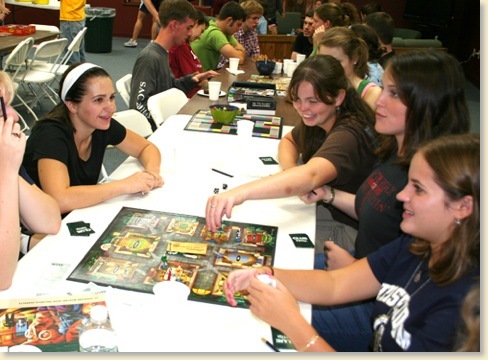 Uno, Clue, and chess were certainly the most popular games, but groups of students could also be seen flocking together simply to chat and meet new friends. Bonding over a game of Clue. ...and the competition was fierce. Arlington Bishop Paul S. Loverde started the school year off right Sunday by celebrating the Mass of the Holy Spirit in Christendom’s Chapel of Christ the King. Bishop Loverde encouraged students to take full advantage of the many opportunities Christendom offers and compared the college to the ‘upper room of Pentecost’ saying that Christendom prepares its students to lead strong Catholic lives much like Jesus prepared his disciples. Christendom is unique in many ways, but Sunday proved again the school’s rare devotion to ensuring that Christendom is truly a place where “Catholicism is in the air we breath” when the entire faculty took an Oath of Fidelity to the Holy Father and the Magisterium. 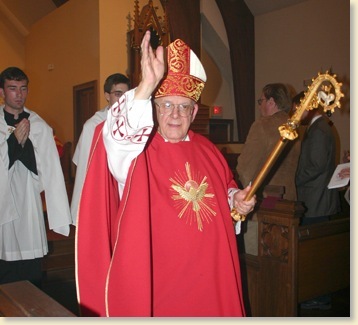 You can read the Bishop's blog post about his visit here. College Chaplain Fr. 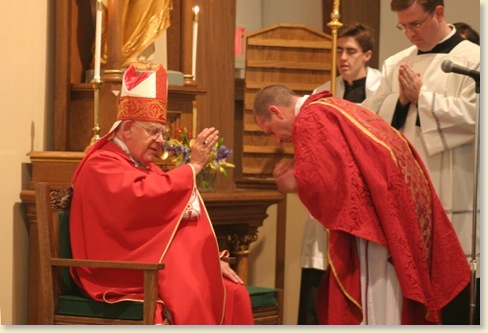 Planty receives the Bishop's blessing before reading the Gospel. The faculty takes the oath of fidelity to the Holy Father and the Magisterium before the Bishop. 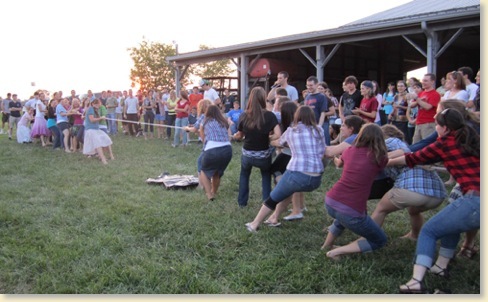 Philosophy professor Dr. Cuddeback welcomed students to his family’s farm for the annual orientation weekend barn dance. 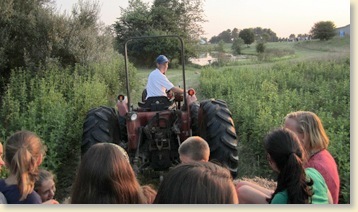 Students enjoyed Dr. Cuddeback’s hayrides around his scenic property in addition to volleyball and a tug of war competition where the senior women dominated the freshmen boys. 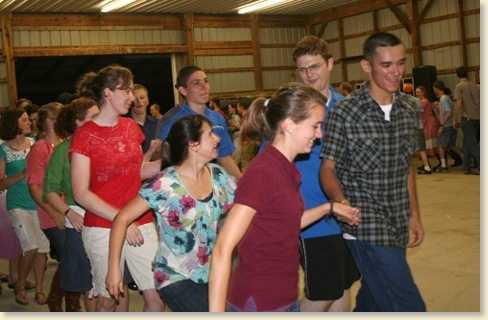 The highlight of the evening was dancing the Virginia Reel. 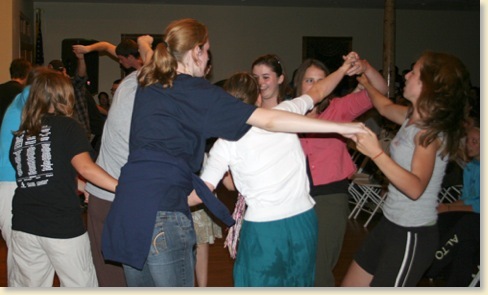 “The reel was easy to learn and loads of fun to dance to. 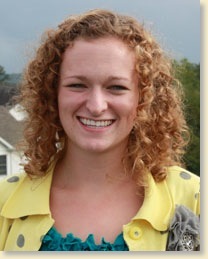 It was the most fun I had this weekend,” Freshman Sophia Jackson said. 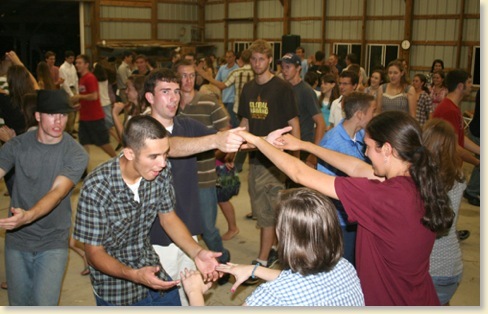 The barn dance served as an introduction to dancing the “Christendom Way” and made students excited for a year full of college dances. 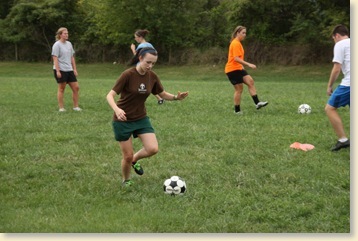 Upperclassmen girls took on the underclassmen. 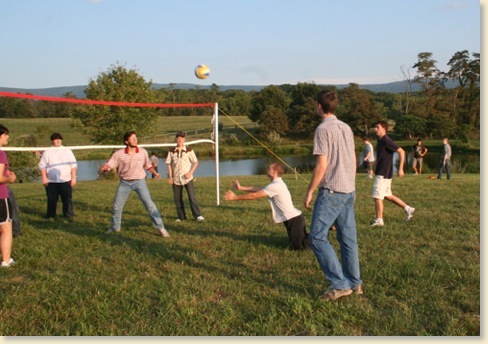 Students played volleyball, frisbee, and corn-toss. Students learned a couple contra-style dances. Everybody loves the Virginia reel. Monday evening students anxiously packed into seats in the St. Lawrence Commons for “S’mores and More,” an orientation party for freshman students put on by the Student Activities Council and the Resident Assistants. 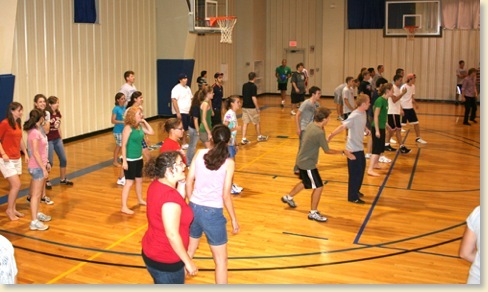 The night was full of hilarious skits and fun interactive games, which playfully poked fun at the freshmen. The RAs performed entertaining skits on some rules at Christendom, such as curfew and dress code. 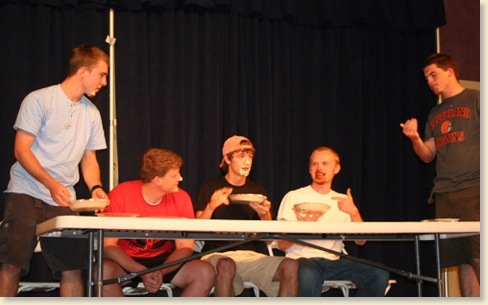 Several freshmen volunteered in games where they had to do such crazy antics as a pie eating contest, answering questions about Christendom, and even getting themselves untangled from the “human knot.” Yummy treats and refreshments were served, and students made s’mores in a fire just outside the Commons. 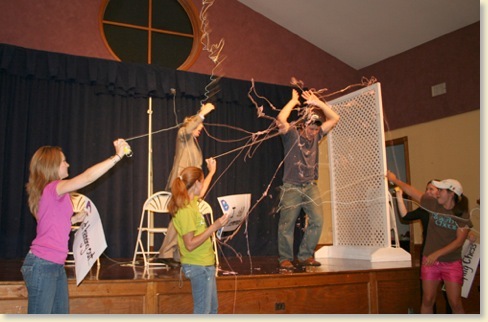 Crazy string added to the fun and zaniness of many of the skits. This summer the college held four of its highly acclaimed "Experience Christendom" Summer Programs. During sessions two and four Director of Admissions Tom McFadden, brought the participants together for a casual group interview. If you, or someone you know, is sitting on the fence about coming to one of these programs, check these out. It may help you gain better insight into what they're all about. 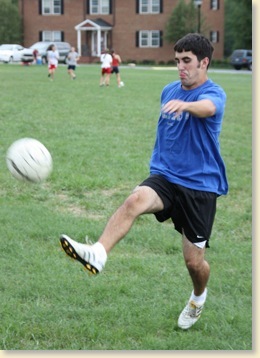 After one of the most successful seasons in Christendom History the men’s soccer team is back and ready for more. The men’s soccer team along with the women’s team arrived on campus a week prior to classes beginning and 3 days before students arrived to begin their season. The teams had 4 practices each day hoping to gain a head-start on the season that will be one of the most challenging in recent memory. The Crusaders play 18 games this season with the Lady Crusaders playing 16. The 18 games for the Crusaders is the largest soccer schedule ever and the team’s enthusiasm and energy is definitely up for the challenge. With 35 guys trying out for the team and with Coach Vander Woude keeping 27 players the schedule won’t be the only thing with lots of names on it! After a successful last season going 9-5-1 and the Crusaders return all but one starter and with some new talented freshmen faces this fall should be a lot of fund for the Christendom Community. The team looks to be the complete package returning the starting defense from last year and adding new defenders such as Eric Bugin and Jonathan Fiormanti. The attack will be led by the foreign connection as it was deemed last year including Anthony Readings, Tommy Salmon, Peter McNeely and Paul Nangurai. However, last year’s team was a very balanced team with many players getting in the scoring column and this year’s team should only be more of the same. The season begins for the Lady Crusaders on Wednesday against Wilson College and the men begin on Friday against Lord Fairfax Community College. The schedule is loaded with tough opponents for both teams but especially the men who play Southern Virginia University, Lancaster Bible College, Mt. Aloysius and Washington Adventist to name a few. With all the good things happening in the Crusader soccer world, we hope that the Christendom Crazies will come out and support the teams and cheer them both to a successful season! 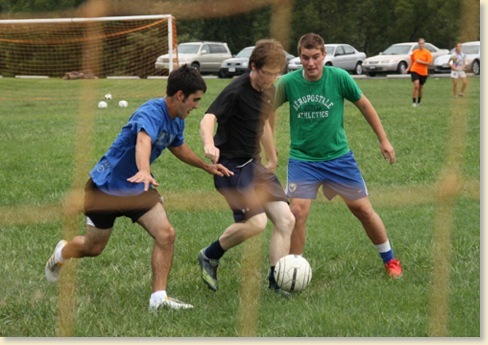 Sophomore Anthony Readings practices his footwork against his teammates, Sophomores Tim Beer and Tommy Salmon. 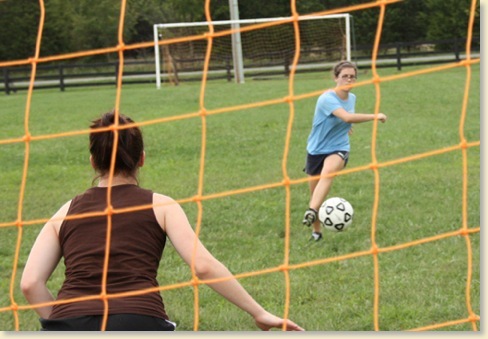 Sophomore Bridget Lademan sends one to the goal. Q. I see the phrase, “Breathe Catholic,” used a lot when talking about Christendom: on the webpage, on EWTN, on advertisements, and even on the college’s DVD. What exactly does this mean? A. That’s a good question, and thanks for asking! “Breathe Catholic” is Christendom’s advertising slogan, not its mission or motto. Our mission/motto is “To Restore All Things in Christ.” This will never change because it sums up what Christendom’s goal is for its students and alumni: to contribute to the Christian renovation of the temporal order. 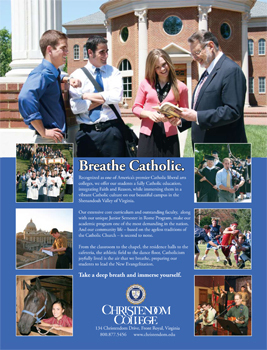 The slogan, “Breathe Catholic,” is very useful for prospective students and their families to understand the unique character of Christendom. As we all know, there are a number of other so-called “good” Catholic colleges and universities out there from which to choose. And, although we are all loyal to the Magisterium and provide solid liberal arts curricula, there are a number of important differences between us. One of the biggest differences that sets us apart from all other colleges is the fact that at Christendom, Catholicism is “the air that we breathe.” But what does this mean? 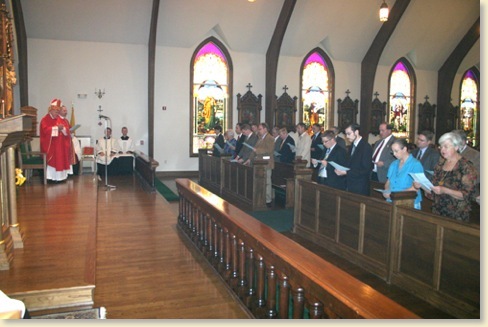 At Christendom, Catholicism affects all that we do: academics, way of living, special events, major speakers, dances, liturgical celebrations, athletics, music, clothing….in short, everything. Catholicism isn’t just a religion to our College, it is a way of life. Students are immersed in a fully Catholic culture; able to experience what life is like living and learning in an environment with a Catholic atmosphere. Here is a section of our website that lays out some of the specifics of how Catholicism affects all that we do. The only real way for you to understand is to visit. 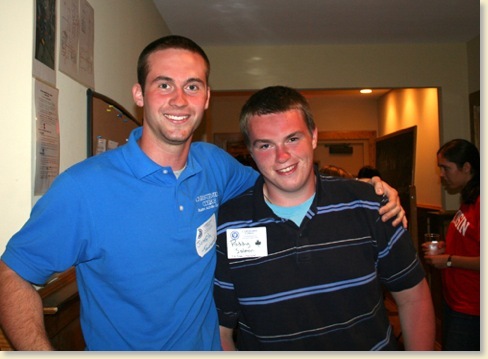 Below are some quotes from students who took part in our “Experience Christendom” Summer Programs this past summer. They were on our campus for a week and seemed to understand what “Breathe Catholic” means. I invite you to visit and see for yourself!